I'm so happy to announce the launch of a new company!! 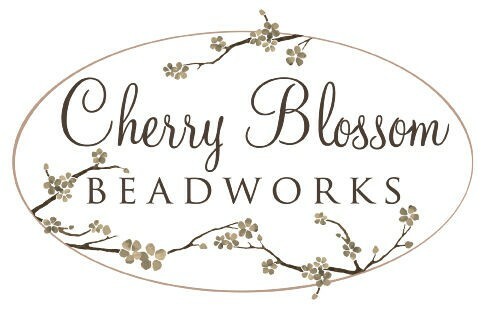 The owners of Gardenia Floral Design have a fun, new venture: Cherry Blossom Beadworks!! 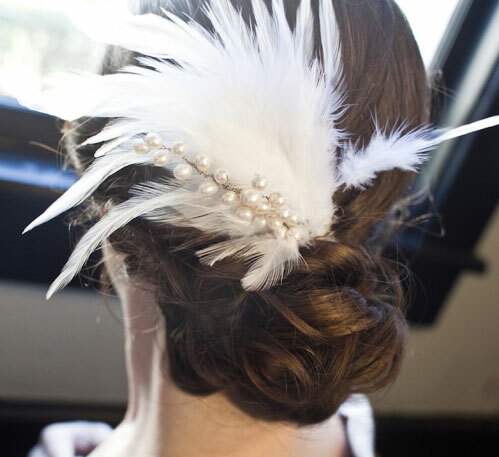 They are now creating custom hand-beaded hair pieces, bouquets, and corsages for brides & wedding parties. From their website: "We are making all our pieces by hand, one at a time, in the U.S. with sterling silver, Swaroski crystals, glass beads, and the best materials that we can find for you. 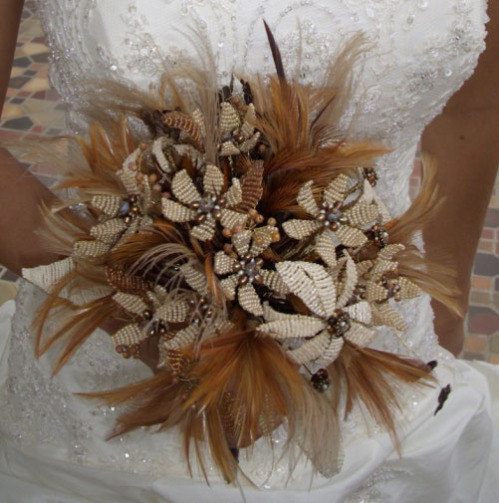 Keepsakes that will never turn to dust, inspired by nature & by each bride." And I love their little motto: "We think every bride deserves something sparkly & special for her wedding." Every piece I've seen is really beautiful and unique- they're using peacock feathers, ostrich feathers, amazing velvet ribbons- really nice quality materials. I'm so excited for them! And I'm also proud to say that I created the logo for them, with the help of artwork from Talie Shove of Paisley Papers. Great photos by Melissa Pepin and ZoomWorks.